It's the May Bank holiday , the sun is shining and that may see an increase in boat usage in the bay. 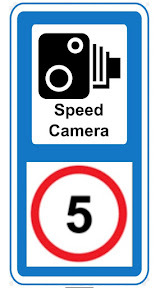 If you are visiting Swanage and approaching the shore line , SLOW down and respect the speed limit. Be aware of other users of the bay, especially swimmers and divers. The speed limit is marked by yellow buoys about 400 metres from the shore. Lets all work together to keep the area safe.